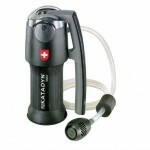 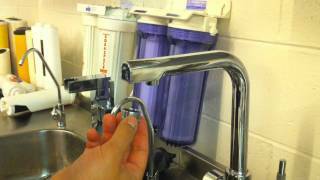 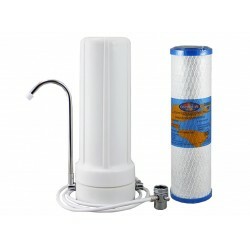 A High quality, cost effective, portable method of water filtration. 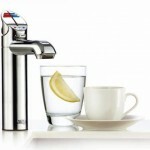 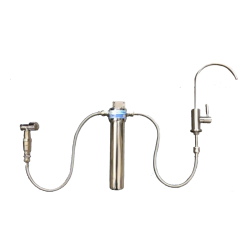 The Royal Doulton Ceramic Ultracarb Single Countertop Water Filter stands conveniently on the sink for easy 'self' installation to the kitchen tap, using the special diverter valve provided. 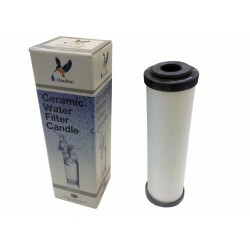 Fitted with a 10" Royal Doulton ultracarb cartridge to provide you with the best quality water possible from a countertop filter. 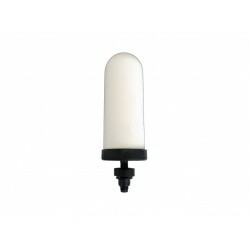 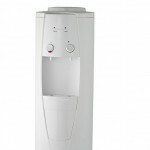 Perfect for renters, students, holiday homes and granny flats. 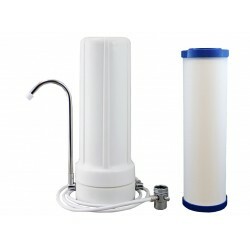 The Doulton Ultracarb Ceramic Countertop Water Filter System comes complete and ready to install. 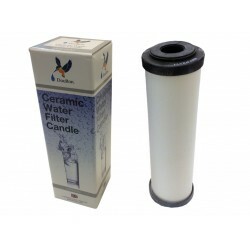 The Royal Doulton Ultracarb features a Sterasyl microfilter, a carbon block core and finally, a heavy metal removal media. 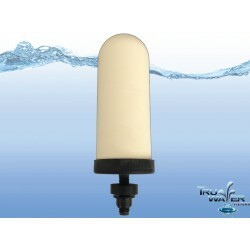 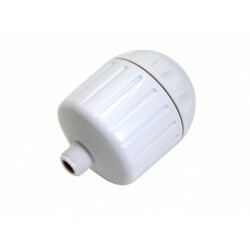 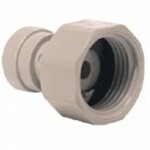 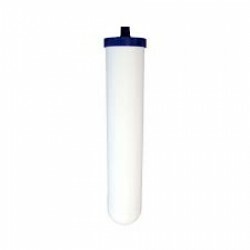 It is a highly efficient ceramic micro filter which provides genuine sub micron filtration. 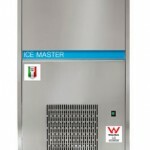 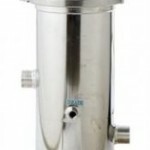 In addition to fine particulate matter, bacteria, cysts and turbidity are removed to a high level of efficiency. 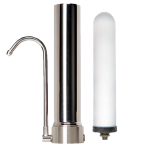 The incorporation of silver locked within the ceramic structure inhibits the growth of bacteria and gives the cartridge enhanced bacteriostatic and self-sterilising properties. 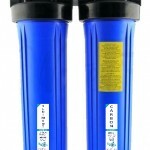 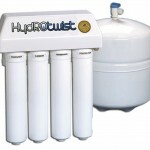 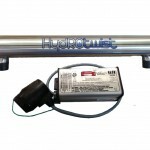 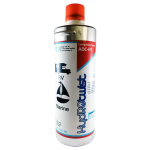 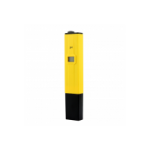 Can be used on any water supply - tank water, river water, bore water as well as potable water. 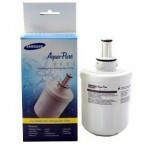 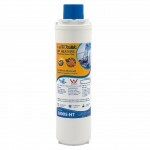 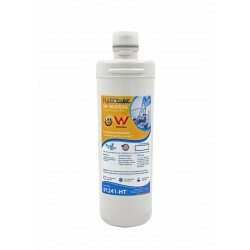 Replacement Filter Cartridge Link: Doulton Imperial Ultracarb Ceramic Filter 10"
HydROtwist Bench Top Counter Top Water Filter fitted with a premium Multi-Pure Carbon Block Blue 0.4 Micron A High quality, cost effective,..
HydROtwist AquaMetix Fluoride Countertop Benchtop Filter 10"
A High quality, cost effective, portable method of water filtration. 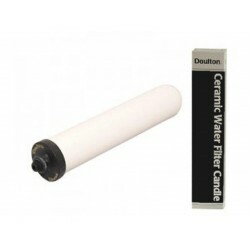 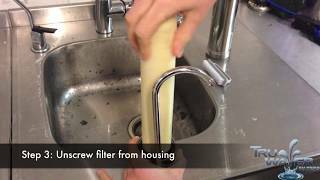 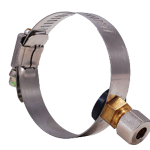 The Cerametix ultraceram filter combines our class leading ceramic micro porous o.. 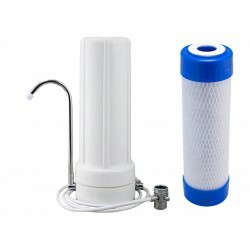 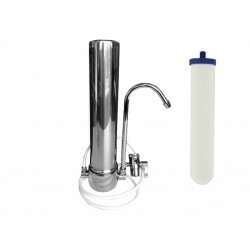 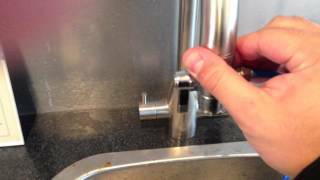 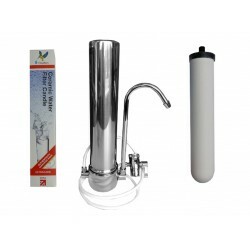 Stainless Steel Countertop Fluoride Water Filter System 10"
A high quality, cost effective, portable method of water filtration. 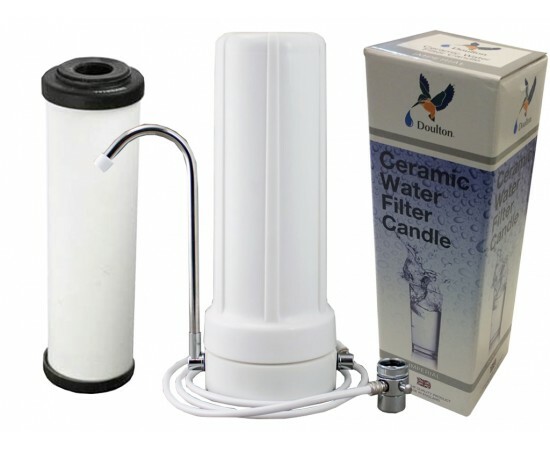 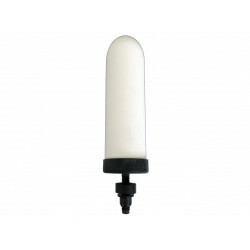 The Cerametix is similar to the Ultraceram filter combining class leading ceramic..
Doulton Super Sterasyl Ceramic Water Filter Candle Urn 5"
Doulton Super Sterasyl Ceramic Filter Candle 5" x 2" The Doulton Super Sterasyl Candle suits many benchtop ceramic urns such as Southern Cross Pot..
Doulton Ultracarb Ceramic Water Filter 0.2um Imperial 10"
The Doulton Ultracarb Imperial OBE Ceramic Water Filter is a self-sterilizing with submicron filtration at an economical cost. 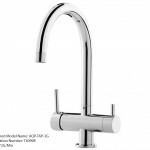 The Doulton Ultraca..